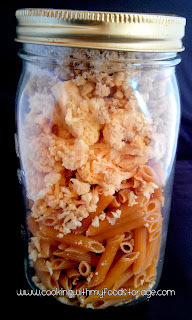 Add when cooking: (you could add these to the jar if using freeze dried but I prefer to add them later). 1 cup or more, Mozzarella Cheese, grated. 1. Bring a large Dutch oven, or other oven safe pot, of water (6-8 cups) to a boil. 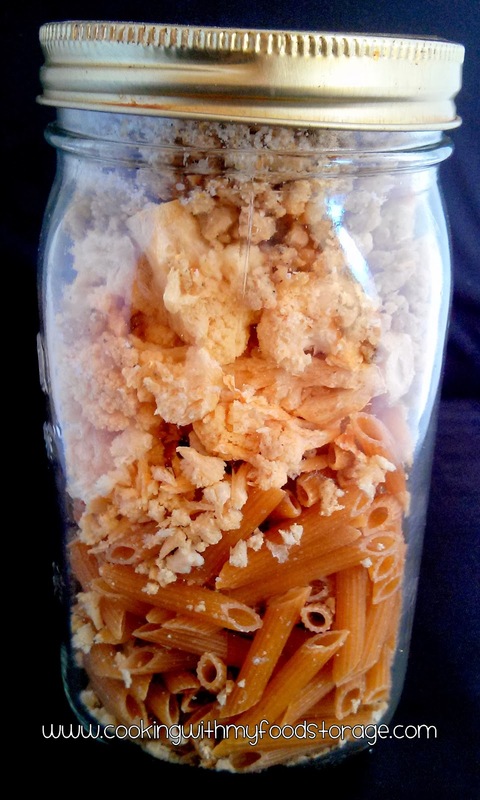 Add pasta, freeze dried cauliflower, and sausage. Cook until pasta is chalky but almost tender. Drain. Return to the pan. 2. Add remaining ingredients, mix well. Bake 20 minutes at 400 degrees.